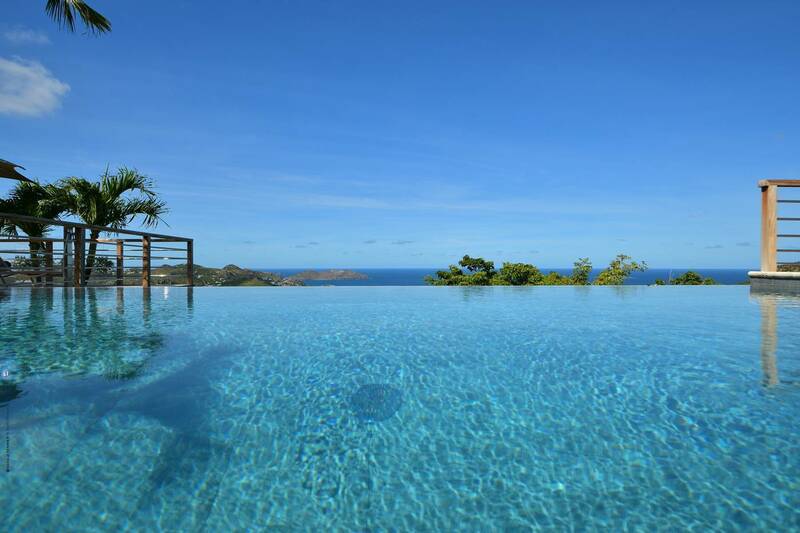 Dream About: Gathering your family for a villa vacation and a poolside celebration of a milestone event. 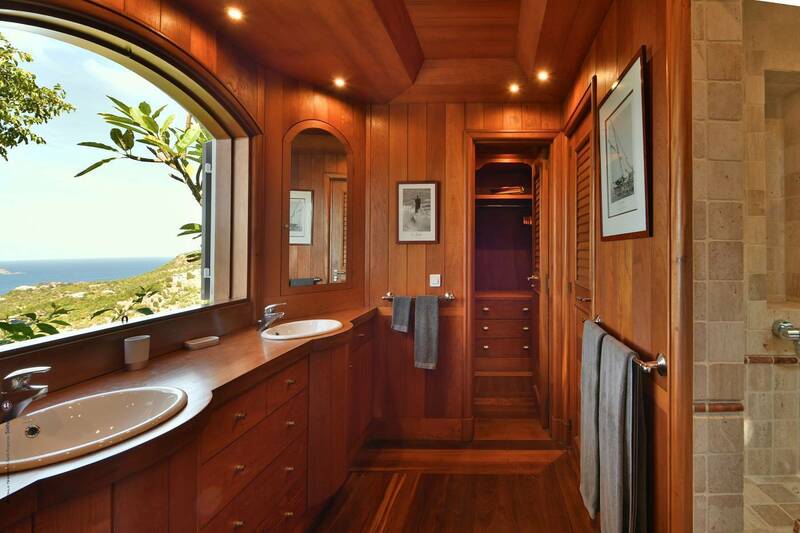 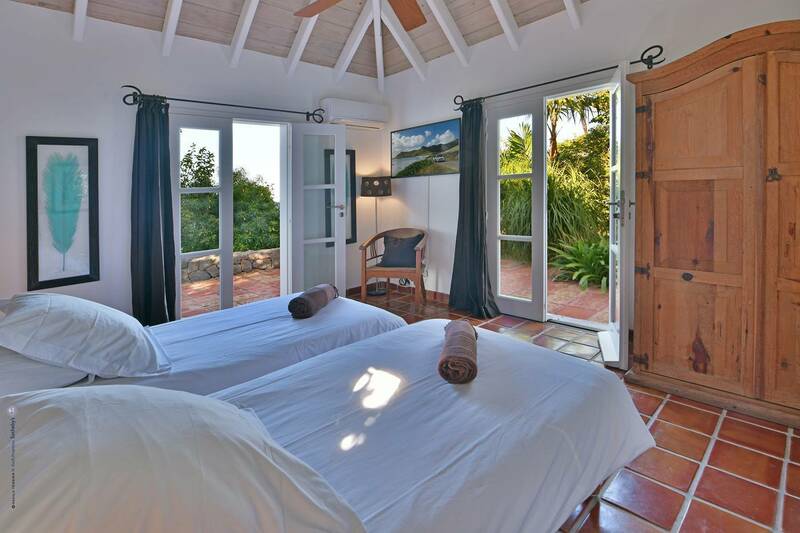 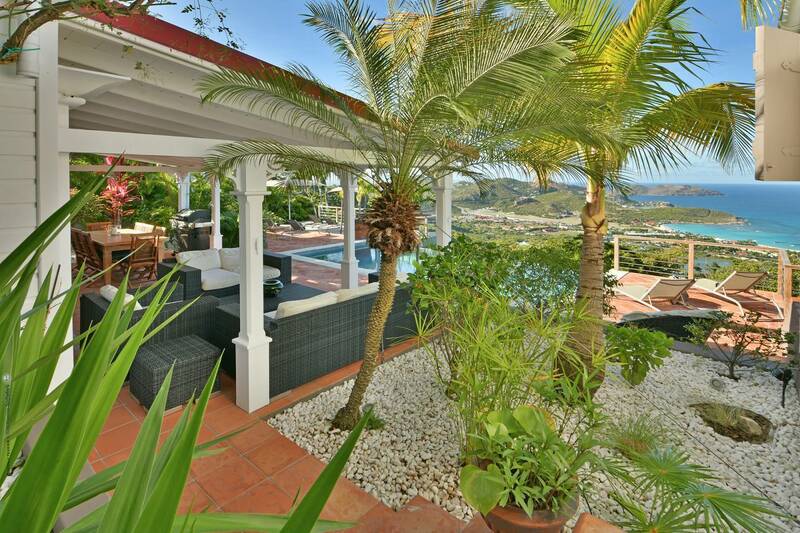 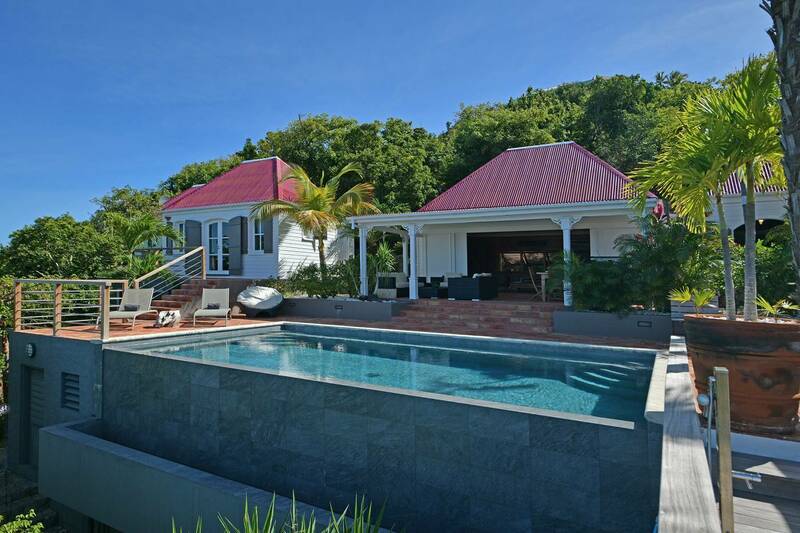 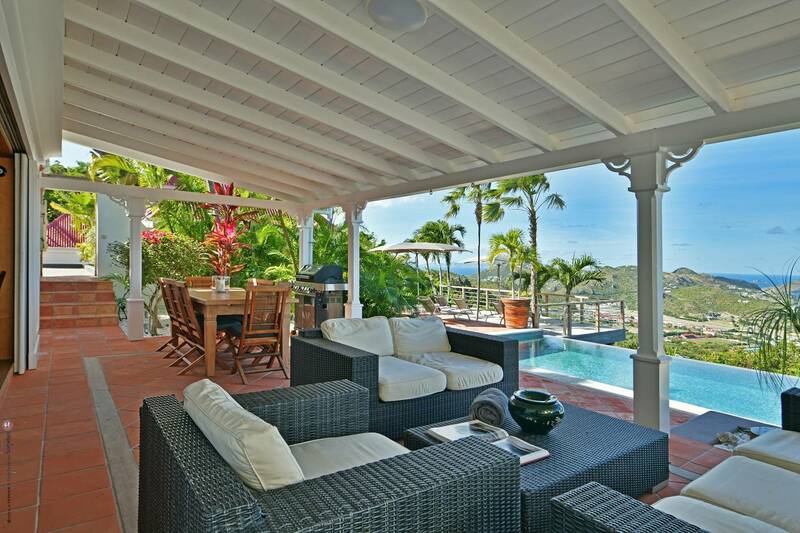 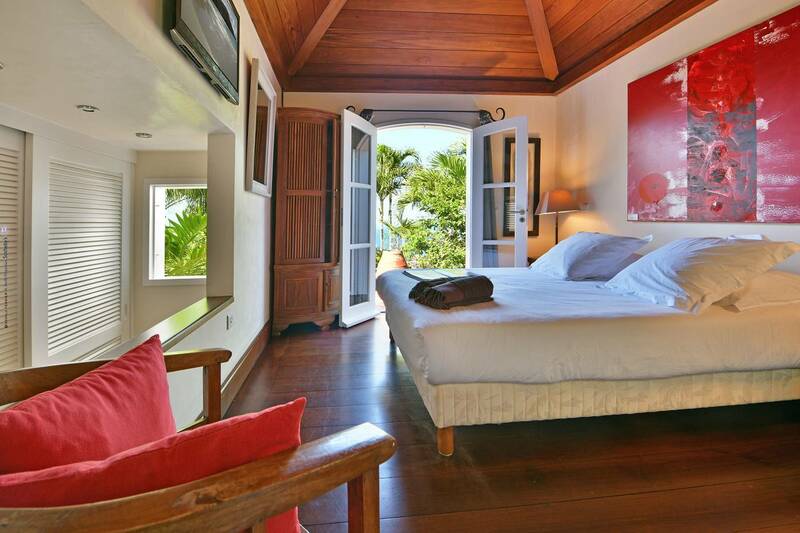 Hillside in Lurin, this lovely 4 bedroom villa offers a stunning view of St. Jean Bay. 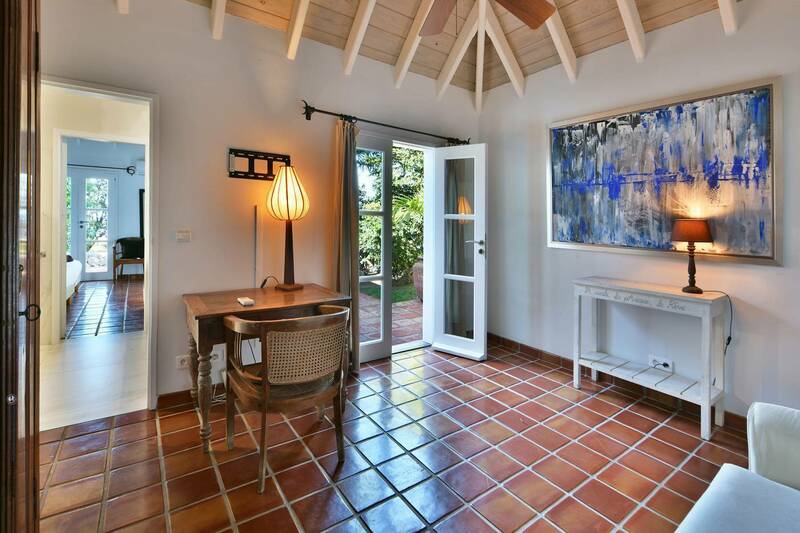 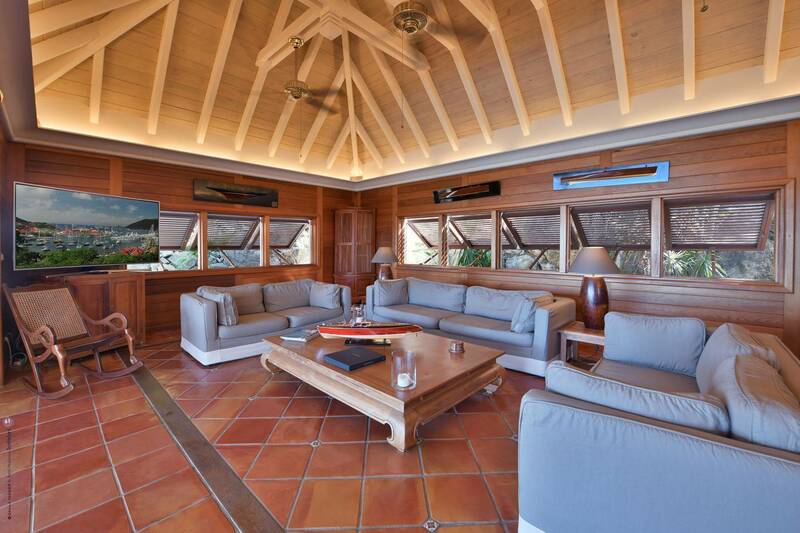 A spacious living room an adjacent well-equipped kitchen with a bar and a guest bath are in the compound’s main house. 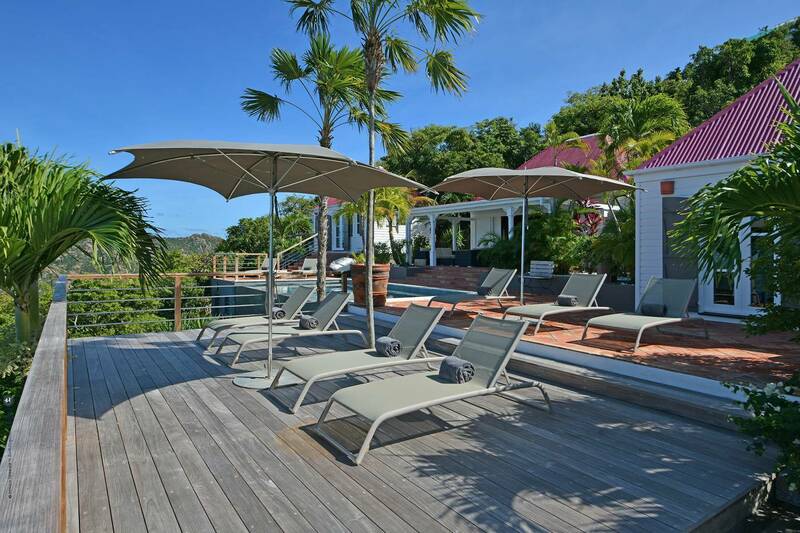 An infinity edge swimming pool is the focal point of the outside spaces which include covered living and dining areas. 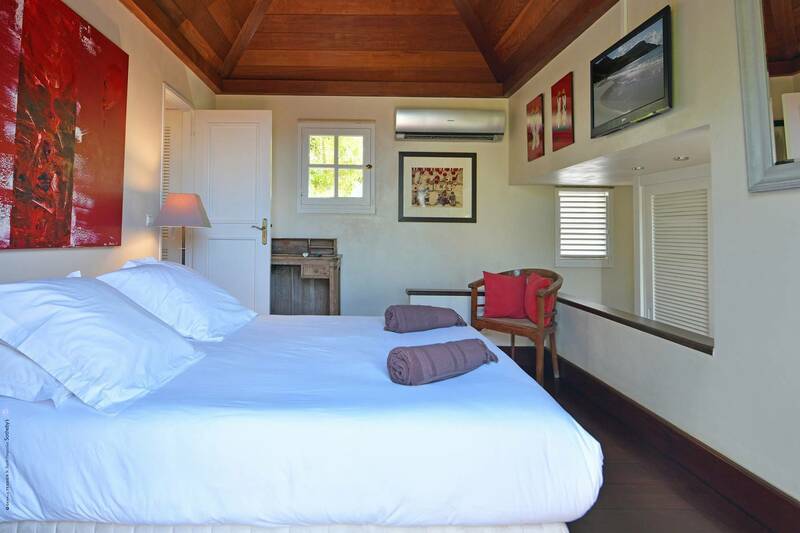 All the bedrooms are en suite and each features a plasma TV with a DVD player and an iPod docking station. 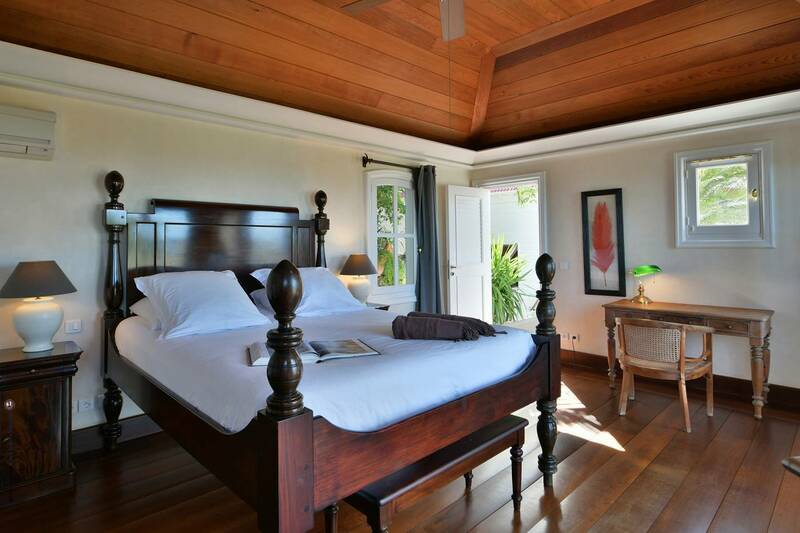 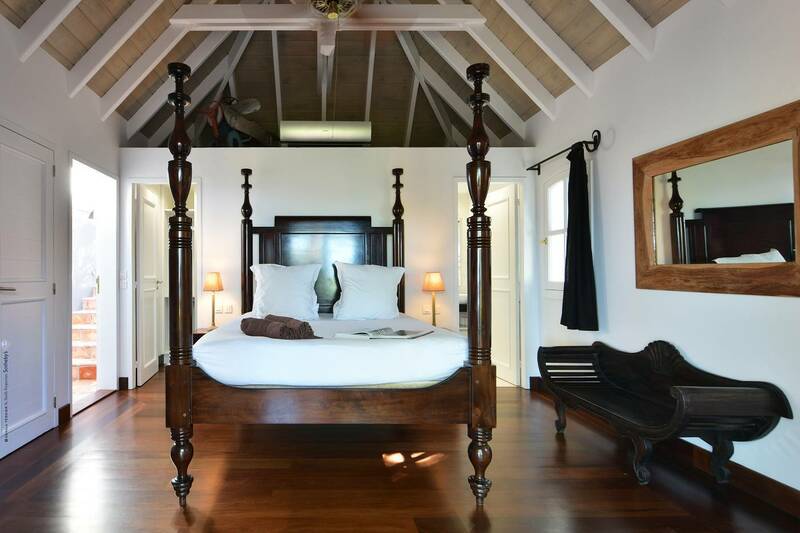 The master suite, with its queen 4 poster bed and walk-in closet, is housed in a separate pavilion with its own terrace. 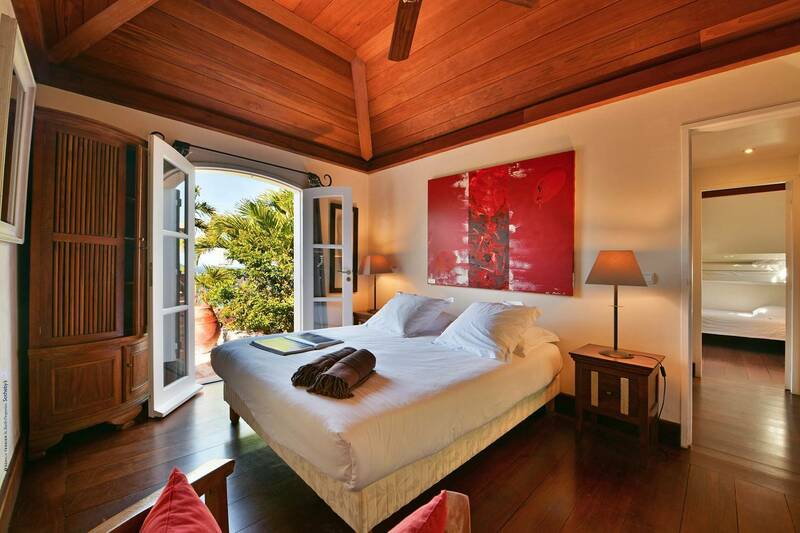 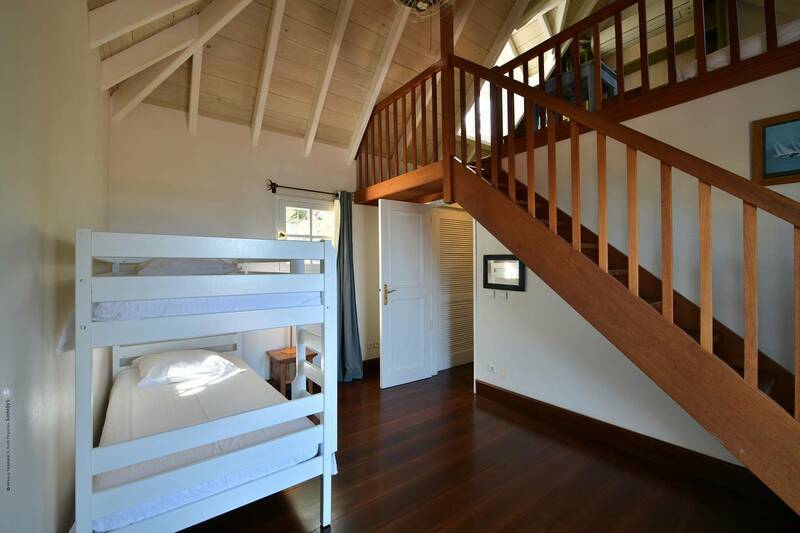 The 4th bedroom’s pavilion includes its own living area; the bed configuration is a king/twin. 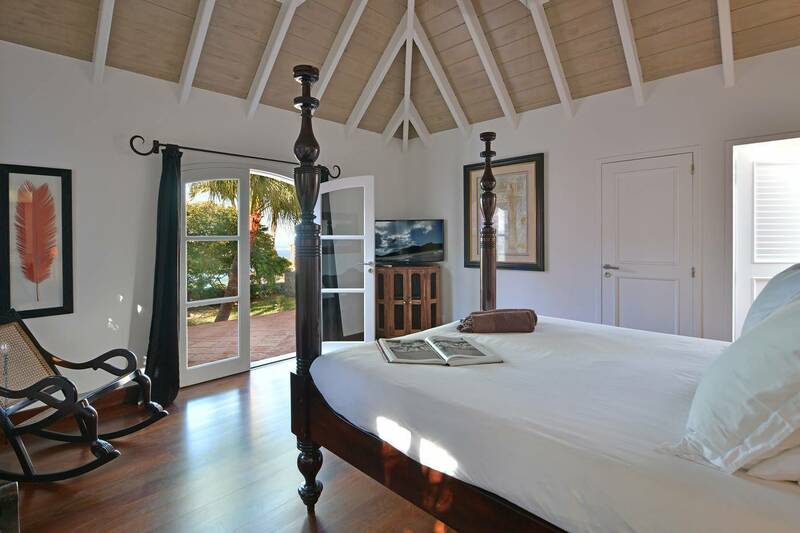 Two additional bedrooms (queen) – with the option of connecting – are paired in another pavilion. 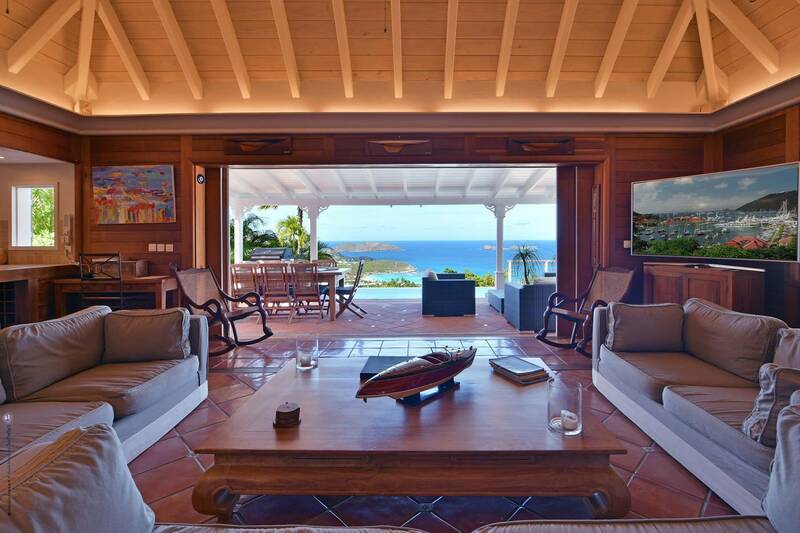 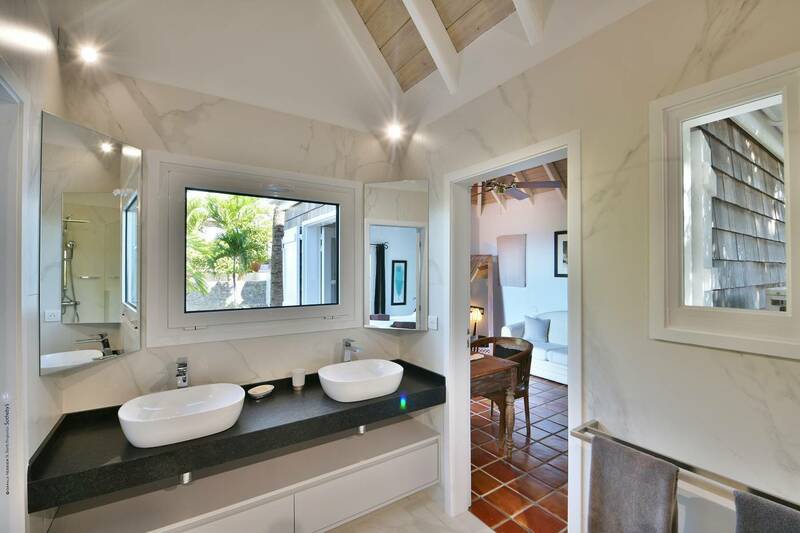 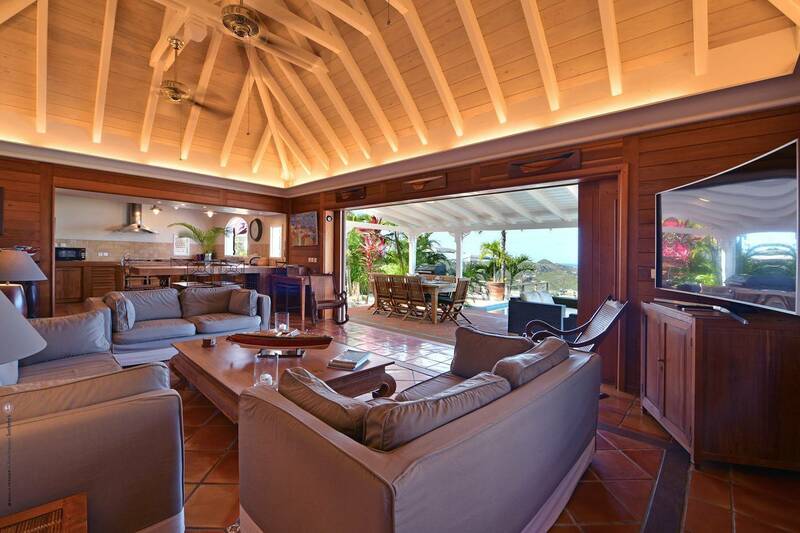 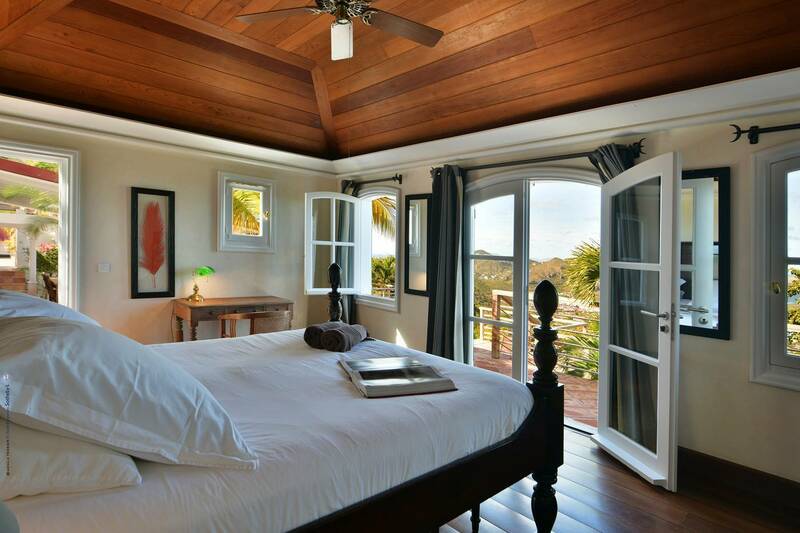 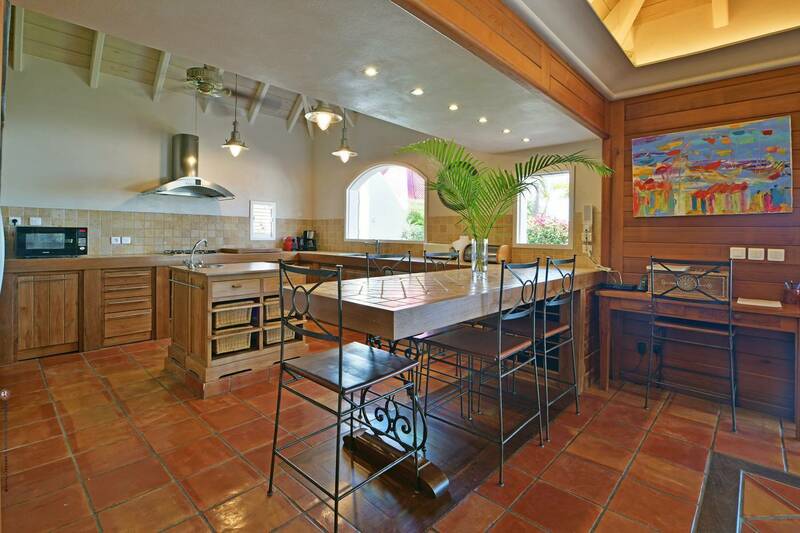 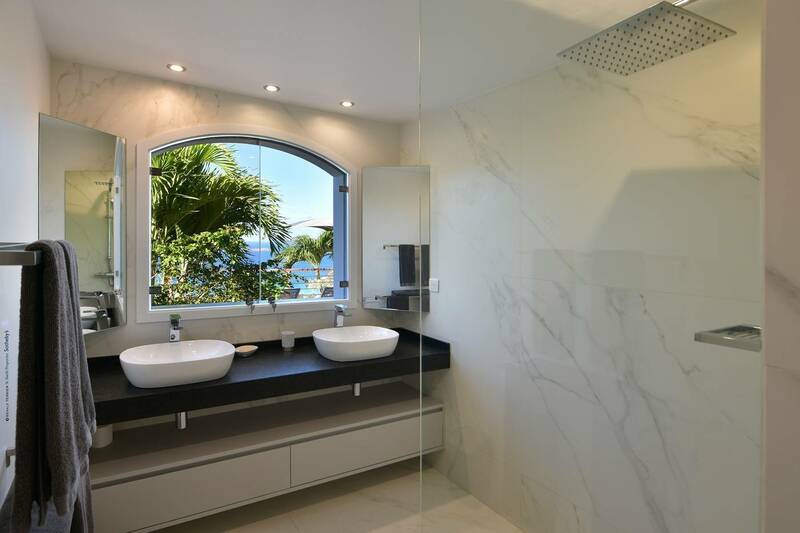 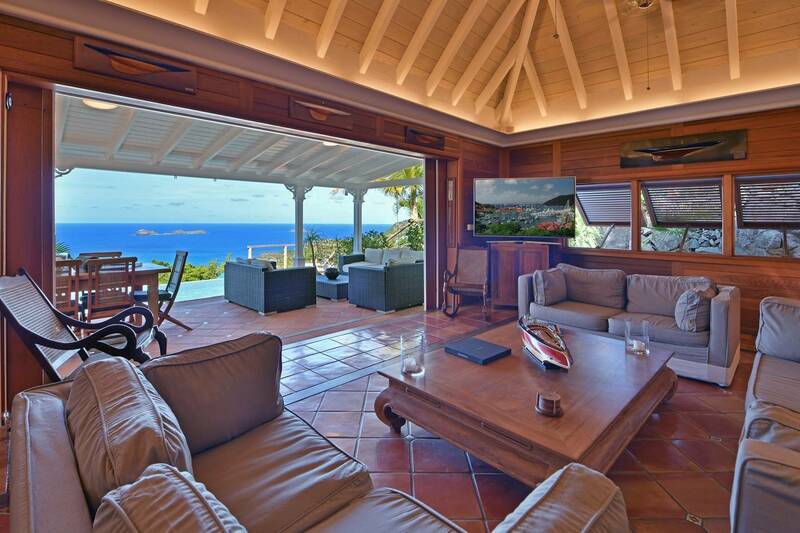 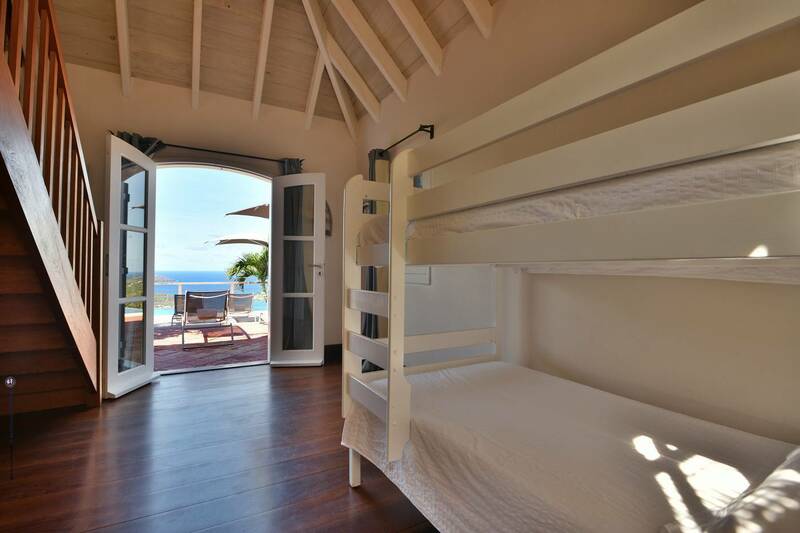 Villa Pasha is conveniently located only minutes from several beaches and Gustavia’s shops and restaurants. 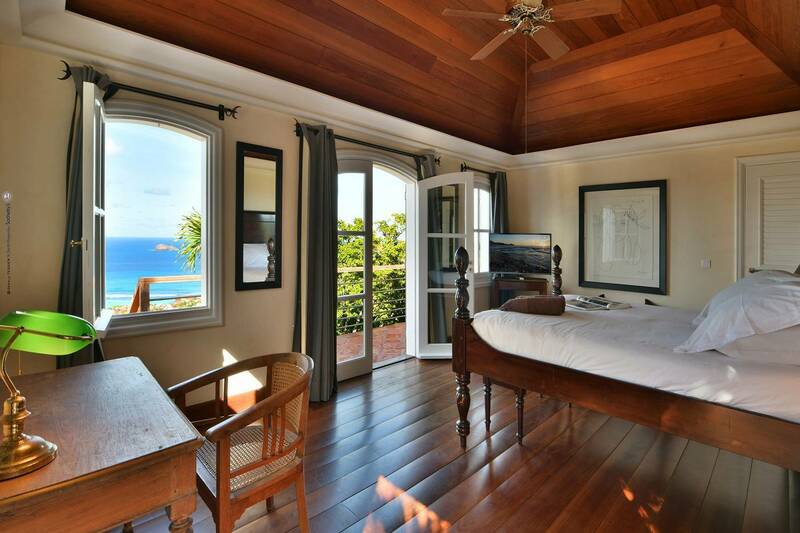 This is a non-smoking villa. 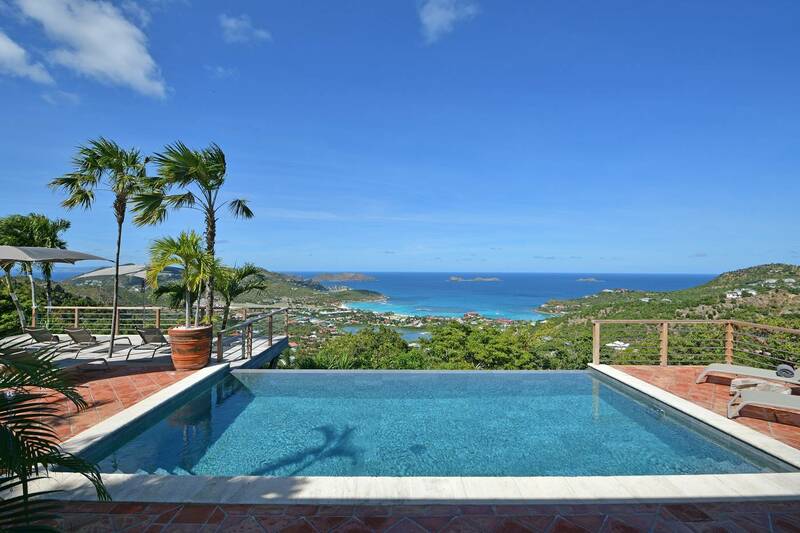 The stunning view of Baie de St. Jean. 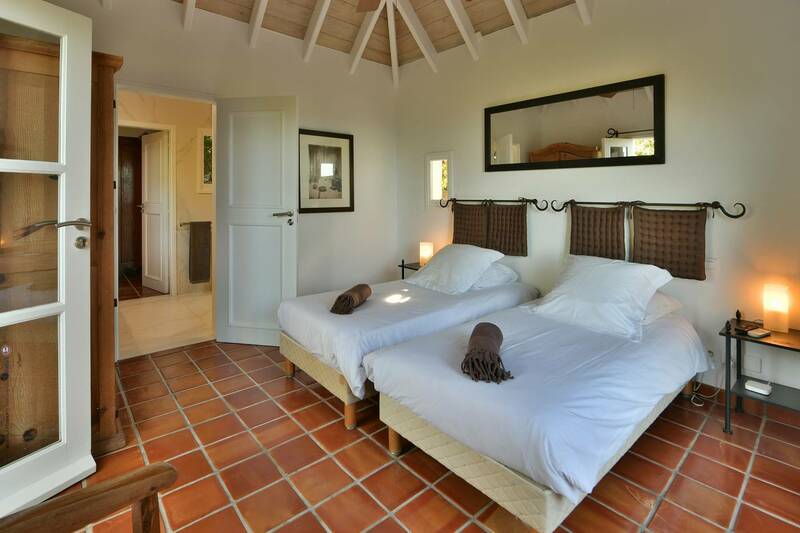 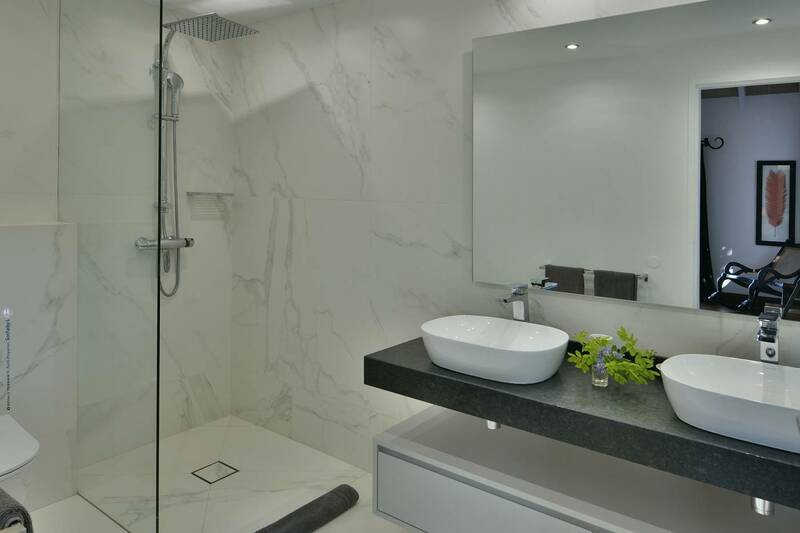 The 4 en suite bedrooms are in 3 separate pavilions; 2 are paired with the option to connect. 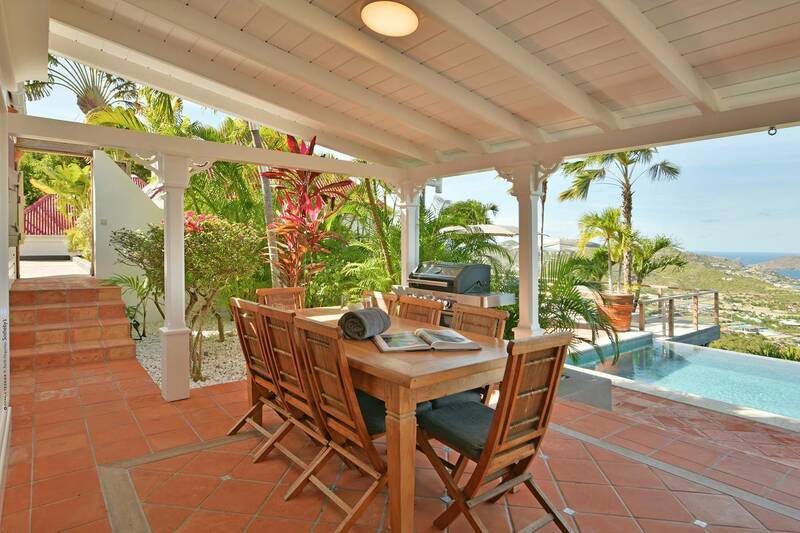 Dining outdoors is delightful.